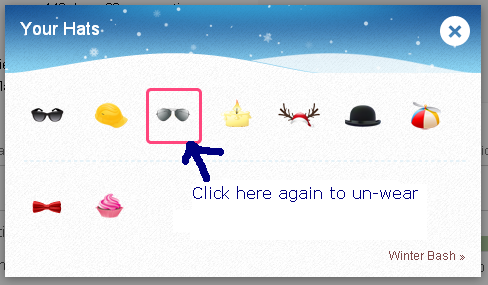 Is there any way to unwear winterbash hats? Just click on that hat again to un-wear it. Click the hat again in the hat selection dialog. That's all you have to do. Not the answer you're looking for? Browse other questions tagged support winter-bash-2012 . How do I deselect my hat? How do I take off my hat? 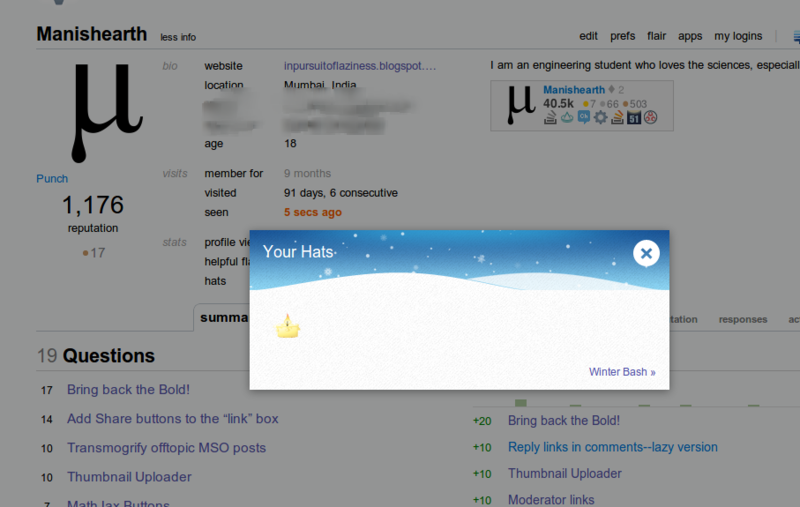 Why don't hats appear in our profile popup?